If you want to earn a degree in Networking but cannot make it to regular school due to any personal or professional commitments, you can pursue this degree online. Online Networking degree programs are highly flexible. You can enroll in them from any location and complete them at your own pace. Also, assignments in these programs are managed online. Compared to the regular degree programs, online programs in Networking are also more cost effective. This is why if you have limited financial resources enrolling in these programs can be a great idea. 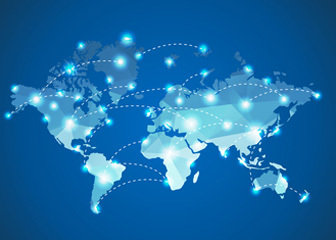 With a computer networking degree you can learn about global communication and the World Wide Web. Q:What employment opportunities can I have upon taking networking degree programs? Q:What courses are offered in Computer Networking Degree Programs? A:Among numerous other courses, Computer Networking degree programs cover basic courses like TCP/IP, standard networking protocols, advanced networking, client/server topology, networking, redundancy and fail over methodology. Q:Where can I get to know more about the different networking degrees? A:You can find various networking degree options at our website. Q:From where can I get basic networking training? A:Basic network training can easily be completed from a bunch of online as well as campus based institutes offering networking programs. To get basic networking degree, you can choose amongst the various certificate programs listed on our website. These include specialization areas such as Cisco Networks, Network Administration, and Network Management. Q:What are the course requirements and credit requirements of Kaplan University CCNA program? A:The Cisco Certified Network Associate (CCNA) program comprises of a few core courses that must be completed and a certain number of credit hours that have to be attained in order to earn the certificate. Courses include networking concepts, network administration, networking with TCP/IP, routing and switching 1, and routing and switching 2. These courses have a total of 27 credit hours that must be achieved to in order to receive the CCNA certificate. Q:What are the benefits of taking computer networking classes online? A:Computer networking classes can be opted for online through distant learning schools. The main benefits of online computer networking classes are that you can save up on program costs and traveling costs. On the other hand, you can resume your job without having to worry about missing classes. Online classes offer flexibility in routine. Q:Are computer networking degrees offered online too? A:Yes. Computer networking degrees are also available online. Numerous renowned online computer schools provide students the opportunity to earn degrees in this field without having to attend campus classes. You can enroll in associate, bachelor, or master's degree in networking online. Online education is less expensive as compared traditional classes. Q:Does ABET accredit computer networking programs? A:Yes, ABET is an accrediting agency that accredits many computer degree programs and schools. It is authorized to evaluate computer degree programs, curriculums, quality standards and delivery methods, making sure each school is in compliance with these standards. Whenever planning to enroll in computer networking programs, make sure it is accredited by ABET. Q:Can I take networking classes online? A:Yes you can take online networking classes. In fact over the years the numbers of online students have risen significantly because of the many advantages that are associated with an online education. These students do not have to give up their job or any other commitment as they can study whenever they want. Moreover there are no geographical boundaries as well. Q:Can you tell me about networking courses? A:There are plenty of schools that offer courses on network technologies that can help students master the concepts of networking. There are a broad range of courses available and students can pick one according to their own preference, area of interest and personal aptitude. These courses will allow students to work in the lucrative field of information technology. Q:What do I need for online networking programs? A:You can enroll for an online program from any part of the country. All you need is an internet connection and a computer that fulfills your system requirements. Online programs generally are more economical than traditional degree programs so you can get started even if you don't have a lot of funds. Q:Are online networking classes conducted by colleges or vocational schools? A:Networking has now gained the status of a specialized field of study, therefore training courses in this discipline are available at both community colleges and junior colleges. Apart for this, advanced networking training courses are also offered on college and university level and require four year to complete. But now numerous vocational institutes and computer learning centers are also offering non-accredited training courses in this field. Q:Which are the best online networking courses to take on? A:Since IT is a field that is on the rise everywhere in the world, enrolling in a IT networking training courses is a great career move. These courses are offered by numerous vocational institutes and colleges across America, and some of the best and high in demand include: TCP/IP, standard networking protocols, networking, advanced networking, client/server topology, redundancy and fail over methodology and troubleshooting networking devices. Q:Can you tell me what topics I will cover in a software engineer school? A:There are a number of software engineering schools that offer degree programs at undergraduate and graduate level. The coursework of these programs may vary slightly, but will generally cover important topics such as the following: software design, software project management, software processes, java track, visual basic track, software testing, and more. Q:What do online networking degrees teach you and what career paths can you pursue? A:Online networking degrees primarily focus on building a strong academic foundation for students in computer networking. These degrees introduce students to various concepts of TCP, advanced networking, redundancy, server topology, client topology, troubleshooting and failover methodology. Some of the career paths relevant to this field include network design specialists, computer technicians, network integrators and Cisco experts.